Sadik Kwasih Alfraji will be participating in the 21st Contemporary Art Biennial Sesc_Videobrasil, Imagined Communities, curated by Solange Farkas, taking place from 9 October 2019 to 2 February 2020, at Sesc 24 de Maio and Galpão VB (São Paulo, Brazil). 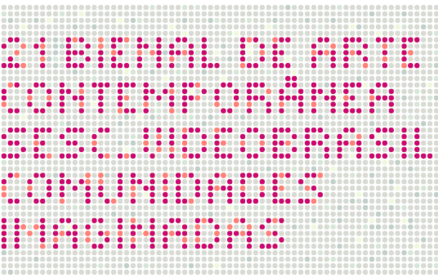 Videobrasil is a contemporary art biennial, an art venue, and a cultural association that researches and disseminates art produced in regions of the world’s geopolitical South—Latin America, Africa, Eastern Europe, Asia, and the Middle East. The Sesc – Serviço Social do Comércio (Social Service of Commerce) is a private nonprofit institution, established in 1946 by entrepreneurs of the goods and services market all over Brazil.